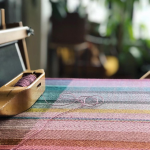 Spanning June 29 through August 31, 2019, the Center for Maine Craft will host pop-up shops and events every Saturday at the West Gardiner Service Plaza. MCA artist-members are welcome to present a variety of trunk shows, book signings, musical performances, and craft demonstrations. 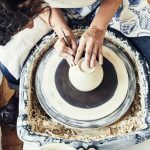 This program provides Maine artists & craftspeople with an opportunity to engage a new audience, display seasonal and specialized merchandise, promote brand awareness and provide an overall experience not typically offered within a service plaza environment. Email Whitney Gill, whitney@mainecrafts.org for more information!